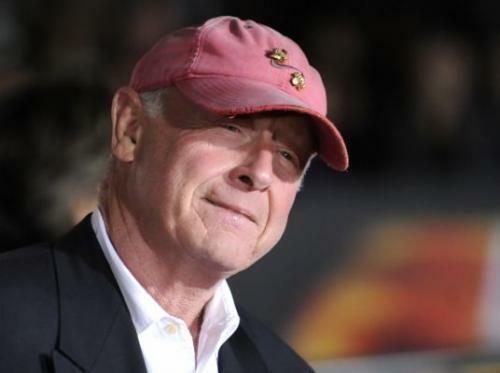 Tony Scott, director of a string of high-octane blockbusters including "Top Gun," died Sunday by jumping from a suspension bridge into Los Angeles Harbor. He was 68. Los Angeles County Coroner's Lt. Joe Bale told TheWrap that investigators had identified the deceased, Anthony David Scott of Beverly Hills, as the director and producer. His death was later confirmed by his publicist, who declined to provide further details. The death was being investigated as a suicide. The British-born filmmaker, whose other hits included "Crimson Tide" and "Beverly Hills Cop II," was also the brother and producing partner of director Ridley Scott. The U.S. Coast Guard told The Daily Breeze that a note was found inside Scott's black Toyota Prius, which he parked on one of the eastbound lanes of the Vincent Thomas Bridge near Long Beach. Officials said that Scott climbed a fence on the south side of the bridge's apex and leapt off "without hesitation" around 12:30 p.m., according to the Breeze. The bridge, which links San Pedro with Terminal Island, appears frequently in films and television. Another media report said that a suicide note was later found in Scott's office. Scott's body was recovered after the jump, Bale said. Authorities used sonar equipment to locate the body and Scott was recovered by a dive team around 4:30 p.m.
Hollywood reacted with shock at the news of the suicide. Director Ron Howard tweeted: "No more Tony Scott movies. Tragic day." And singer Marc Anthony asked what was on the minds of many, tweeting: "Rest in Peace brother. Tony Scott A Genius silenced. I am devastated!! Why?????" The director's most recent movies were "Unstoppable" and "The Taking of Pelham 1 2 3," both of which starred Denzel Washington. He also was a producer of his brother's recent "Prometheus" and was exploring a possible sequel to "Top Gun." The Scott brothers' company is Scott Free Productions, and Tony Scott had nearly 50 producing credits, including for the TV series "The Good Wife" and the Liam Neeson thriller "The Grey." The brothers also produced A&E's upcoming "Coma." Born June 21, 1944, Tony followed in the footsteps of his older brother, the director of "Alien," "Blade Runner" and "Gladiator," among other films. Tony Scott's first feature film was the 1983 vampire drama "The Hunger," which he shot after years as a commercial director. "Top Gun," released in 1986, was the first of many emotional, adrenaline-filled hits, including "Days of Thunder," "The Last Boy Scout" and "Crimson Tide." You are reading the article instinct blogs - SEO Friendly entitled Tony Scott, Director of 'Top Gun,' Dies in Apparent Suicide, We are sorry if you think there is a very important artike, do not forget to subscribe by entering your email in column Get Updates Via Email. If there is a question which if you think do not forget to leave a comment below. Without any spread of SPAM..